Over time inferior rubber or plastic made shower hoses can become kinked or blocked with lime scale and reduce your showers performance. Improve water flow with a new steel constructed shower hose with a bright chrome finish. The connectors are standard sized, made of brass and coated with chrome plating. New rubber washers for a water tight fit are also included. 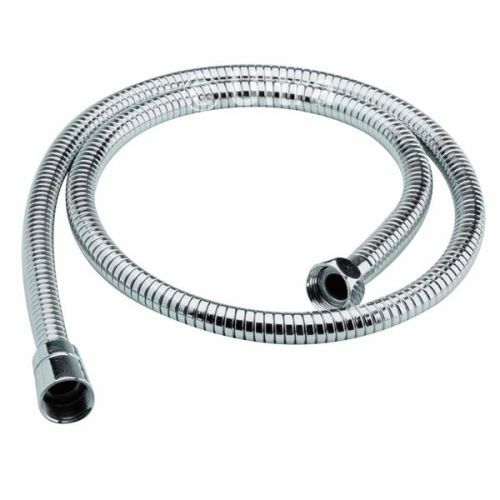 At 1.75m this replacement shower hose is long enough for spot cleaning any part of your body. If you've mounted your shower over the bath it's also perfect for washing hair or even cleaning the bath!